Richard J. Aldrich brings to life the war through the diaries of people on all sides, with events recorded as they happened. A kamikaze pilot in the last days before his suicide mission; an injured Australian prisoner of war humbled by the heroic attempts of his fellow inmates to save his life by endangering their own; a young Japanese boy terrified by the rumours of impending atomic warfare; a British nurse in Malaya forced to abandon her patients following strict evacuation orders. Stories such as these are drawn into a chronological account of the war by Aldrich’s expert month-by-month commentary. The Faraway War offers a stunning and diverse range of diaries, focusing both on ordinary people, some of whose diaries are published here for the first time, as well as on more celebrated figures such as Evelyn Waugh, Charles Lindbergh, Harry Truman and Joyce Grenfell. With this second volume Richard Aldrich now completes the picture that he began with the European and Middle Eastern action in Witness to War, by creating an intimate and illuminating portrait of a whole world ravaged by war. "...a stunning and diverse range of diary entries from people on all sides." 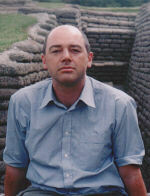 "A companion to the author's highly successful Witness to War, The Faraway War presents another everyman's perspective on the Second World War....Richard Aldrich proves himself yet again to have a masterly touch in weaving together diary extracts from unknown paricipants..."
"...scholarly collection of World War 11 diarists....Enthralling." 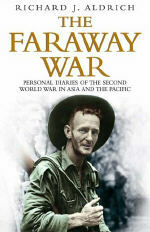 "...one of the most detailed studies of memoirs of the Second World War in the Pacific..."